Now that the cold season is approaching, it is a good idea to check the seals on the doors and windows. If air is leaking in or out noticeably, now is the time to replace them before the costly winter heating bills come. My rear entry door is a standard Mastercraft door, and as such it has a snap-in channel for the bottom weather stripping. No screws needed. Simply pull down on the existing weather stripping, and it will come out. If it is painted on or just too tight, it can be removed with the help of a standard screwdriver or putty knife. Once removed, bring it with you to the local hardware store or to your computer to find a viable replacement weather strip. Definitely Energy Efficient Weather Stripping Saves Money, so be sure not to just buy the cheapest you can find, but what you actually need to get the best seal on your door. There are many different styles of replacement door bottoms that can be ordered. 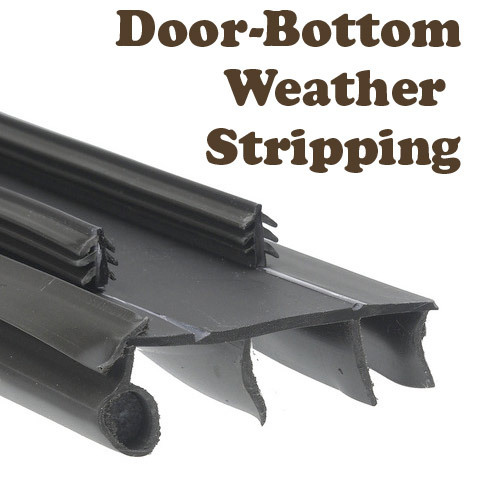 Amazon has all types of replacement weather stripping for doors. Most of which is a good price. What types of weather stripping and winterization techniques are you using this year to achieve the maximum bang for your heating buck? Comment below or tweet @HandyFather.